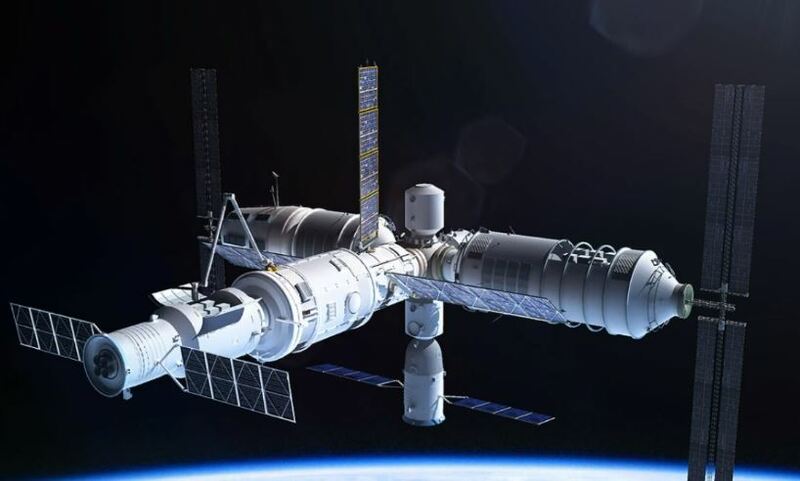 China’s first space station is expected to come crashing down to Earth next year, amid concerns authorities have lost control of its 8.5-ton craft. The Tiangong-1 or ‘Heavenly Palace’ space station was launched in September 2011 and currently orbits Earth at an altitude of 230 miles. 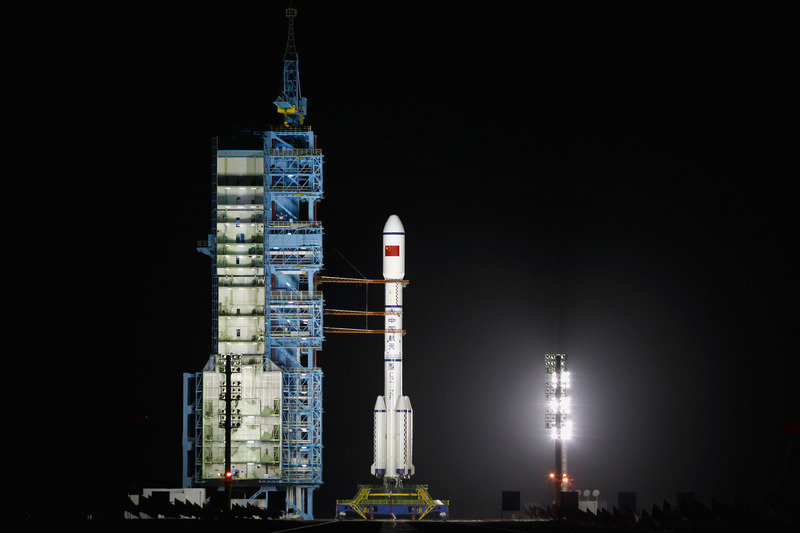 But amateur astronomers have suggested China has ‘lost control’ of the module, after it was reported the country’s space agency had struggled to get in contact with it. Speaking at a satellite launch for the space station’s successor in the Gobi Desert, officials said the craft – which has been in orbit two and a half years longer than it was designed for – had ‘comprehensively fulfilled its historical mission’, the Telegraph reports. While it’s likely that the station will burn up on its way back into Earth, some denser parts are unlikely to burn up completely – and that could cause problems on the ground. 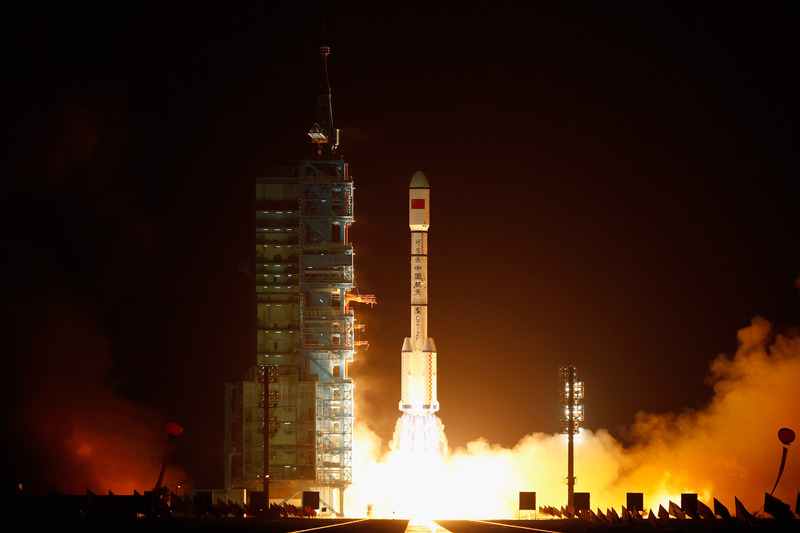 Harvard astrophysicist Jonathan McDowell said the news of the satellite’s re-entry suggested China had lost control of the station – and if so, it would be impossible to predict where the debris would land. You really can’t steer these things. Even a couple of days before it re-enters we probably won’t know better than six or seven hours, plus or minus, when it’s going to come down. Not knowing when it’s going to come down translates as not knowing where its going to come down. McDowell added that even small changes in atmospheric conditions would be enough to push the craft ‘from one continent to the next’. But Wu said the space station’s return was ‘unlikely to affect aviation activities or cause damage to the ground’, according to Chinese media. Hopefully by the expected crash date in 2017, China figures out a way to ensure the craft goes down in the water – and not on the ground.